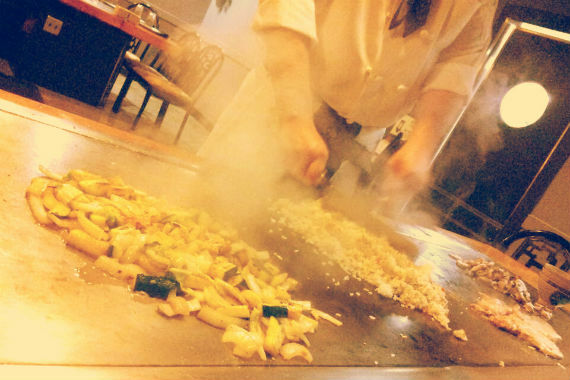 As long as you’re not afraid of flying shrimp and a chef with a big knife, Ohana Steakhouse will serve up one of the most entertaining dinners in Des Moines. Join us for the greatest tasting show in town! "You don't have to share your meal, but you're welcome to share your feedback. https://www.yelp.com/biz/ohana-steakhouse-west-des-moines"
"We're in the business of making your food and brightening your day. " "This heavenly delight is sure to make your night." "@JoeOchoNoles Unfortunately we can't guarantee it for life, but we're happy to hear our scallops are worth going under the needle for!" "The best place to spend your weekend is right here." Awesome experience and that lemon sauce! Out of all the places like this in Iowa, this would be on the top. Great cooks, they all have comedic abilities as well as showmanship. Worth the price. Yes, I'd like to receive news from Ohana Steakhouse. Sign up for the Ohana Steakhouse Newsletter!